Please note we only rent directly to guests, and never through booking agencies. This means our homes are a higher standard as they are looked after far better. It also means you know exactly which home you will be staying in and what it is like. Some agencies have recently been caught using our home photos despite not offering our home for rent! If you did not book with us then it is not our home you are booked in!!! 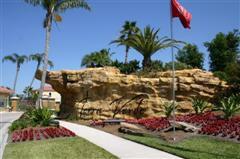 We are always delighted to offer advice & assistance with planning your Florida villa vacation. Sunshine in Florida specialises in luxurious vacation home rentals at Central Florida's two premier vacation villa resorts - Terra Verde Resort in Kissimmee and Solana Resort just to the west. Both Terra Verde Resort and Solana Resort are very near to Disney World Florida and all the other Orlando area attractions like Seaworld and Universal Studios. As our homes are situated on exclusive resort communities they offer the facilities that you would expect from a top rated hotel like fitness centers, plus the benefits of a villa rental such as extra room, full kitchens, games rooms and private pools, and finally the extra facilities and amenities we provide in our homes in addition to those found in regular rental 'vanilla' villas. 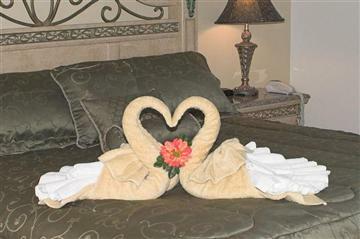 This makes any of our homes at Terra Verde Resort or Solana Resorts 'The perfect location for a dream vacation'. We offer a choice of 3 homes ranging in size from 4 to 6 bedrooms villas, all with their own unique qualities and features, but all with the same luxurious accommodation to suit your every need in mind. To read more about each villa please visit our Villas page or click here to read more about Terra Verde Resort or Solana Resort. All our villas are situated on the purpose built vacation villa resort communities of Terra Verde and Solana. These are specifically designed to offer all the benefits of luxury villa rentals but with the added advantage of facilities that you would expect from a top hotel. The difference this will make to your villa vacation can not be over emphasized when compared with either renting a home in a residential setting or staying at a hotel. Terra Verde and Solana resorts offer many facilities including clubhouses with large pools and deck areas, children's play areas, concierge services, internet facilities, fitness rooms, sport facilities, games rooms & arcades amongst others. 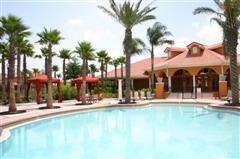 As our guests you will have free use of the resort facilities. Both Terra Verde Resort and Solana Resort are very conveniently situated for Disney and the other Theme Parks, Golf courses, Restaurants and Shopping. Below is a brief introduction to our villas at Terra Verde Resort and Solana Resort along with links to pages to find out more information or view more pictures of each. Please note that all our villas are family owned. We are not an agent, so the villa that you choose will be the villa that you are guaranteed to stay in. What makes our Solana Resort and Terra Verde villas so different from all the others? We would like to take a moment to explain what is different with our homes. The main point is that they are 'homes' - they are owned and most importantly used by us and our family, whereas many villas are simply 'investment properties' that are managed by remote companies with owners that may never have even been inside. As we call them our second homes, we care for them as you would a home and have provided many facilities, furnishings and fixtures beyond that you would expect in a vacation villa. That said, we take particular care to ensure guests feel welcome and can treat the home as their own for the duration of their stay - with particular emphasis on families as we have young children ourselves and experience of travelling and vacationing with kids. We regularly update furniture, fixtures and decor to ensure the homes feel welcoming, comfortable and clean - the photos we show are recent and how you will find the home. There are lots of 'hidden' extras too like the top class management company taking care of the home and guests, pool maintenance company and of course insurances and full rental licenses. Not all villas are the same, just as not all hotels or even cars are. Sure, they make look similar on the outside, but it is what is inside, the quality and service and attention to detail that counts. Our homes are more like the equivalent of a 'boutique hotel' to an airport hotel, or a luxury car to an entry level model, so please have a close look at the detail and not just the front picture and price when comparing us with other villas. Finally, please ask questions...we are always glad to take the time to answer questions and recommend to anyone renting a villa from us, or anyone else, to ensure that everything is exactly as they desire. After all, this may be your only vacation this year, or a lifetime trip for the kids to Disney and you really need to make sure that it is perfect - that is what we want for you too. Only 10-15 minutes to Disney it provides the perfect home for your dream vacation.